PLASTI DIP BURNT COPPER ALLOY PEARLS AEROSOL Perfect for wheels, trim, emblems and small surfaces. 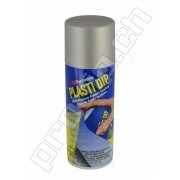 - Dip Pearl Aerosols must be sprayed over a base of Plasti Dip®. - the color of your base will affect the final finish and color outcome. Product images shown have a black base. 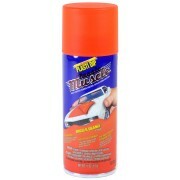 - 4 wet coats is ..
PLASTI DIP DEEP SEA BLUE PEARLS AEROSOL Perfect for wheels, trim, emblems and small surfaces. - Dip Pearl Aerosols must be sprayed over a base of Plasti Dip®. - the color of your base will affect the final finish and color outcome. Product images shown have a black base. - 4 wet coats is stand..
PLASTI DIP HYPER BLACK GRAPHITE PEARLS AEROSOL Perfect for wheels, trim, emblems and small surfaces. - Dip Pearl Aerosols must be sprayed over a base of Plasti Dip®. - the color of your base will affect the final finish and color outcome. Product images shown have a black base. - 4 wet coats i..
PLASTI DIP HYPER SILVER PEARLS AEROSOL Perfect for wheels, trim, emblems and small surfaces. 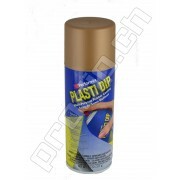 - Dip Pearl Aerosols must be sprayed over a base of Plasti Dip®. - the color of your base will affect the final finish and color outcome. Product images shown have a black base. 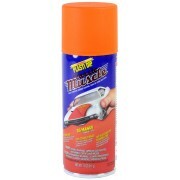 - 4 wet coats is standa..
PLASTI DIP IRIS VIOLET FLIP PEARLS AEROSOL Perfect for wheels, trim, emblems and small surfaces. - Dip Pearl Aerosols must be sprayed over a base of Plasti Dip®. - the color of your base will affect the final finish and color outcome. Product images shown have a black base. 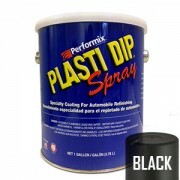 - 4 wet coats is st..
PLASTI DIP OBSIDIAN BLACK DIPPEARL AEROSOL Perfect for wheels, trim, emblems and small surfaces. - Dip Pearl Aerosols must be sprayed over a base of Plasti Dip®. - the color of your base will affect the final finish and color outcome. Product images shown have a black base. 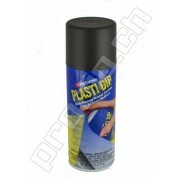 - 4 wet c..
PLASTI DIP SPRAY CAN BLACK Mat Plasti Dip is a multi-purpose, specialty rubber coating and air dry. It can be easily applied by brushing, dipping or spraying. It provides a comfortable, controlled grip that resists moisture, abrasion, acids, corrosion, slipping and skidding. The flexible, st..
PLASTI DIP SPRAY CAN GLOSSIFIER Plasti Dip Enhancers are specially designed to make the already-outstanding Plasti Dip home solutions even better. Enhancers are easy to use and will give any Plasti Dipped item a unique look. Plasti Dip, whether in the original dip-on/brush-on formula or the aeros..
PLASTI DIP SPRAY CAN GOLD METALIZER Plasti Dip Enhancers are specially designed to make the already-outstanding Plasti Dip home solution even better. These Enhancers are easy to use and will give any Plasti Dipped item a unique look. 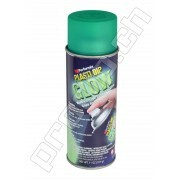 Plasti Dip, whether in the original Dip-on/brush-on formula or ..
PLASTI DIP SPRAY CAN GREEN GLOW Stand out at night with this special Plasti Dip Glow in the Dark that stores light energy! Charges up in daylight, and glows green in the dark. PLASTI DIP is an air dry, synthetic rubber coating that can b e easily applied by spraying, brushing or dipping. PLASTI D..
PLASTI DIP SPRAY CAN PEARLIZER Plastidip pearlizer will add a one-of-a-kind luster to any dried, cured Plasti Dip coating. It gives a pearlescent sheen and a subtle white tint to any color Plasti Dip. PlastiDip Pearlizer is a great way to give your DIY project a distinctive, yet understated, fini..
PLASTI DIP SPRAY GALLON BLACK 3.78 L Plasti Dip Spray Gallon is a multi-purpose, specialty rubber coating and air dry Easy to remove from most surfaces Protects against moisture, acids, abrasion, corrosion, and skidding/slipping Provides a comfortable and controlled grip Will..
PLASTI DIP SPRAY TRUE METALLIC CANS ALUMINUM The NEW True Metallics Line of Plasti Dip are a leap forward in the Dipping Industry. These are the only Plasti Dip products in the world that produce a true, realistic metallic finish in one simple step, and they are available here at prodip.ch. ..
PLASTI DIP SPRAY TRUE METALLIC CANS ANTHRACITE GREY The NEW True Metallics Line of Plasti Dip are a leap forward in the Dipping Industry. These are the only Plasti Dip products in the world that produce a true, realistic metallic finish in one simple step, and they are available here at prod..
PLASTI DIP PURE GOLD ALLOY PEARLS AEROSOL Perfect for wheels, trim, emblems and small surfaces. 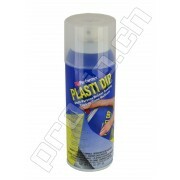 - Dip Pearl Aerosols must be sprayed over a base of Plasti Dip®. - the color of your base will affect the final finish and color outcome. Product images shown have a black base. - 4 wet coats is sta..
PLASTI DIP RAW TITANIUM PEARLS AEROSOL Perfect for wheels, trim, emblems and small surfaces. - Dip Pearl Aerosols must be sprayed over a base of Plasti Dip®. - the color of your base will affect the final finish and color outcome. Product images shown have a black base. - 4 wet coats is standa..
PLASTI DIP REAL RED™ PEARLS AEROSOL Perfect for wheels, trim, emblems and small surfaces. - Dip Pearl Aerosols must be sprayed over a base of Plasti Dip®. - the color of your base will affect the final finish and color outcome. Product images shown have a black base. 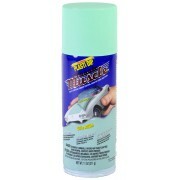 - 4 wet coats is standard;..
PLASTI DIP TAHITIAN GREEN PEARLS AEROSOL Perfect for wheels, trim, emblems and small surfaces. - Dip Pearl Aerosols must be sprayed over a base of Plasti Dip®. - the color of your base will affect the final finish and color outcome. Product images shown have a black base. - 4 wet coats is stan..
PLASTI DIP SPRAY CAN 50's AQUA Mat Plasti Dip is a multi-purpose, specialty rubber coating and air dry. It can be easily applied by brushing, dipping or spraying. It provides a comfortable, controlled grip that resists moisture, abrasion, acids, corrosion, slipping and skidding. The flexible..
PLASTI DIP SPRAY CAN BLAZE BLUE Mat Plasti Dip Blaze is a unique collection of neon Plasti Dip colors that deliver eye-catching looks for any application. The Blaze collection applies quickly and easily to nearly any substrate material, and creates a protective coating to shield against abra..
PLASTI DIP SPRAY CAN BLUE GLOW Stand out at night with this special Plasti Dip Glow in the Dark that stores light energy! Charges up in daylight, and glows blue in the dark. PLASTI DIP is an air dry, synthetic rubber coating that can b e easily applied by spraying, brushing or dipping. 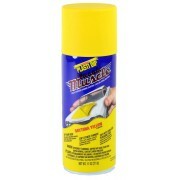 PLASTI DIP..
PLASTI DIP SPRAY CAN Daytona Yellow Mat Plasti Dip is a multi-purpose, specialty rubber coating and air dry. It can be easily applied by brushing, dipping or spraying. It provides a comfortable, controlled grip that resists moisture, abrasion, acids, corrosion, slipping and skidding. 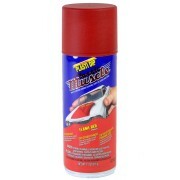 The fle..
PLASTI DIP SPRAY CAN Flame Red Mate Plasti Dip is a multi-purpose, specialty rubber coating and air dry. It can be easily applied by brushing, dipping or spraying. It provides a comfortable, controlled grip that resists moisture, abrasion, acids, corrosion, slipping and skidding. 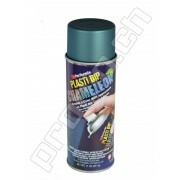 The flexible, st..
PLASTI DIP SPRAY CAN Go Mango Mate Plasti Dip is a multi-purpose, specialty rubber coating and air dry. It can be easily applied by brushing, dipping or spraying. It provides a comfortable, controlled grip that resists moisture, abrasion, acids, corrosion, slipping and skidding. 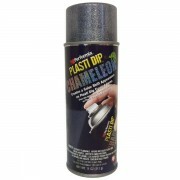 The flexible, str..
PLASTI DIP SPRAY CAN Grabber Blue Mat Plasti Dip is a multi-purpose, specialty rubber coating and air dry. It can be easily applied by brushing, dipping or spraying. It provides a comfortable, controlled grip that resists moisture, abrasion, acids, corrosion, slipping and skidding. The flexi..
PLASTI DIP SPRAY CAN GREEN/BLUE CHAMELEON Use over Plasti Dipped items to provide a unique look. Plasti Dip® Chameleon creates a color shift appearance on Plastic Dip® coated items! Color shifts at different angles in sunlight. Air dries to a soft, satin finish. Peel it off when consumers want to..
PLASTI DIP SPRAY CAN Hemi Orange Mat Plasti Dip is a multi-purpose, specialty rubber coating and air dry. It can be easily applied by brushing, dipping or spraying. It provides a comfortable, controlled grip that resists moisture, abrasion, acids, corrosion, slipping and skidding. 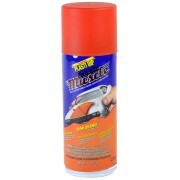 The flexib..
PLASTI DIP SPRAY CAN Hugger Orange Mat Plasti Dip is a multi-purpose, specialty rubber coating and air dry. It can be easily applied by brushing, dipping or spraying. It provides a comfortable, controlled grip that resists moisture, abrasion, acids, corrosion, slipping and skidding. The flex..
PLASTI DIP SPRAY CAN KALEIDOSCOPE CHAMELEON Use over Plasti Dipped items to provide a unique look. Plasti Dip® Chameleon creates a color shift appearance on Plastic Dip® coated items! Color shifts at different angles in sunlight. Air dries to a soft, satin finish. Peel it off when consumers want ..
© 2019 Prodip GmbH. All rights reserved.